Well I had the opportunity to go on a little getaway to see my dear friend Olivia in Arizona. While visiting, I tagged along with her and attended her Wednesday Morning Women’s Study Group. At the end of the meeting it was announced that Olivia had volunteered to host a Ladies’ Social the following week at her home. After giving Olivia just a few suggestions and brainstorming what worked with her comfort level, this is a glimpse of how Olivia’s get together with her CBS ladies group turned out. I wish I could have been there! Salad was to be the main course, and all of the sudden our minds started reeling…before you know it, Olivia and I had a blast putting together a “Love”-ly Salad Social with a Valentine’s theme. – Budget? – Minimal as everyone is contributing, and Olivia decided to treat with favors and a few decor items. – Theme? 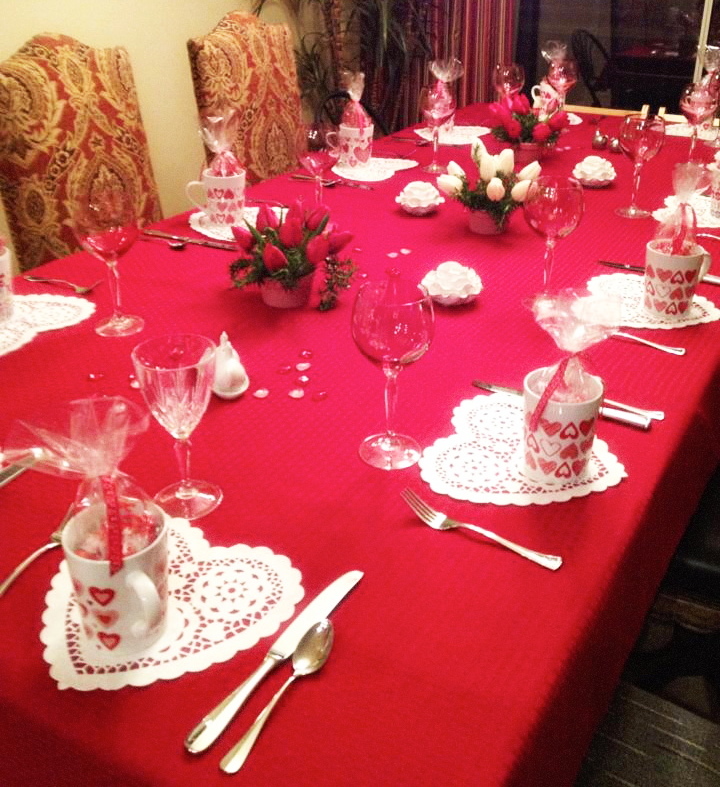 – A women’s Valentine’s social with a classic feel. As guests arrived bringing their items, a salad buffet was created. 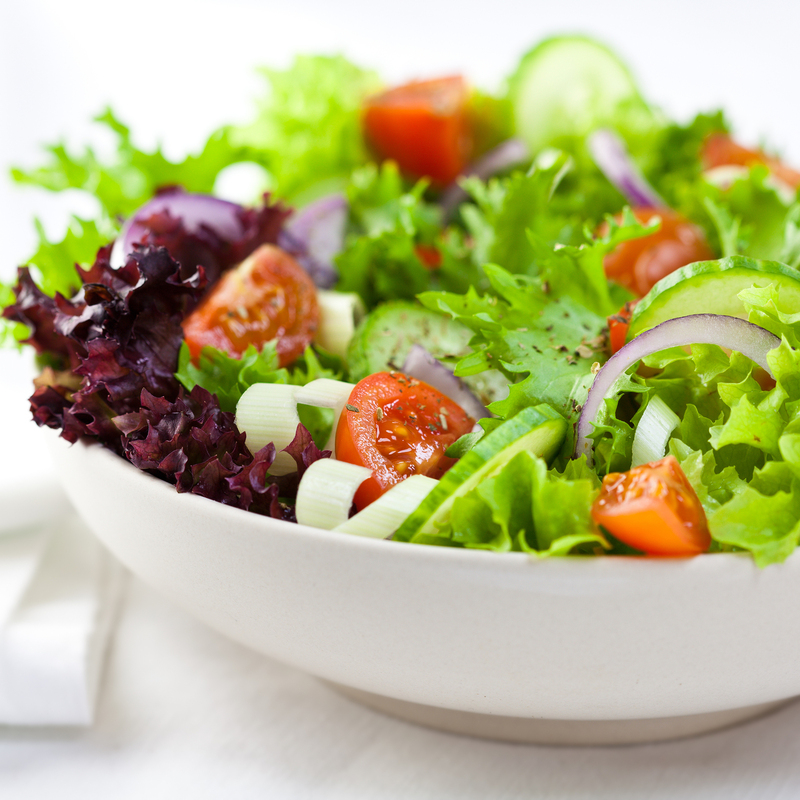 Everyone had a terrific time building their own salad. The table was pre-set with simple yet elegant florals, favors, and hearts. 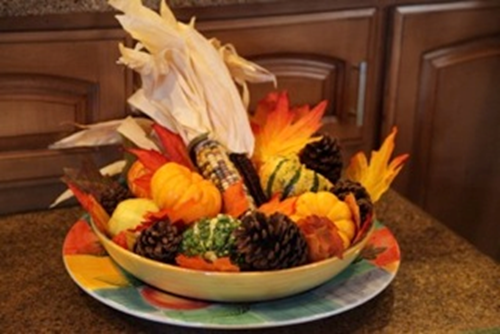 3P Tip: Always entertain with the boundaries of what makes you a happy host. Olivia’s love of fresh florals, and lower-to-the-table timeless looks helped her create the perfect table. A crimson table cloth with fragrant coordinating florals combined with a few china roses set the stage for Olivia’s look, we also picked up some glass heart shaped table scatter to tie her theme together. 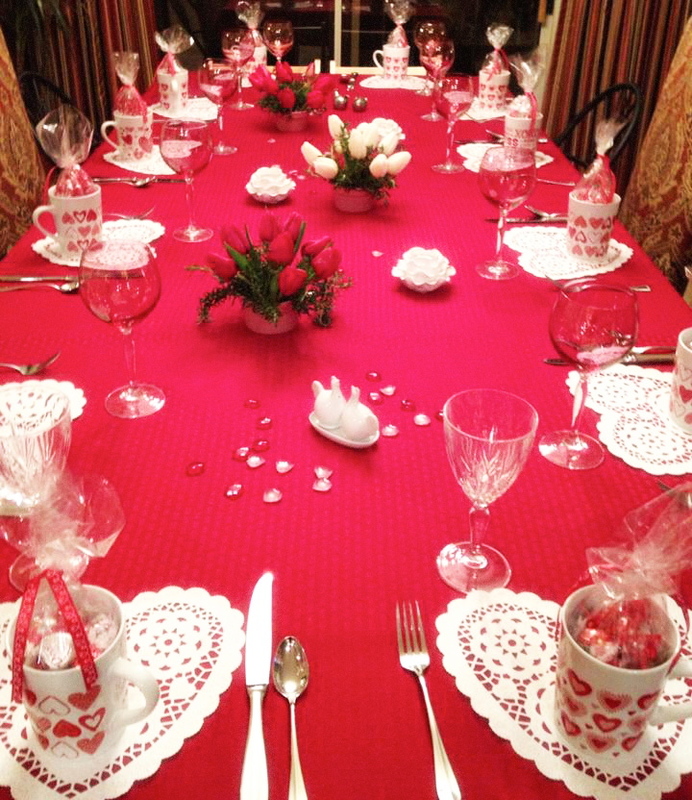 By adding lace paper hearts as placemats and individual take-home Valentine’s favors to each setting…this “love”-ly salad social table was complete! 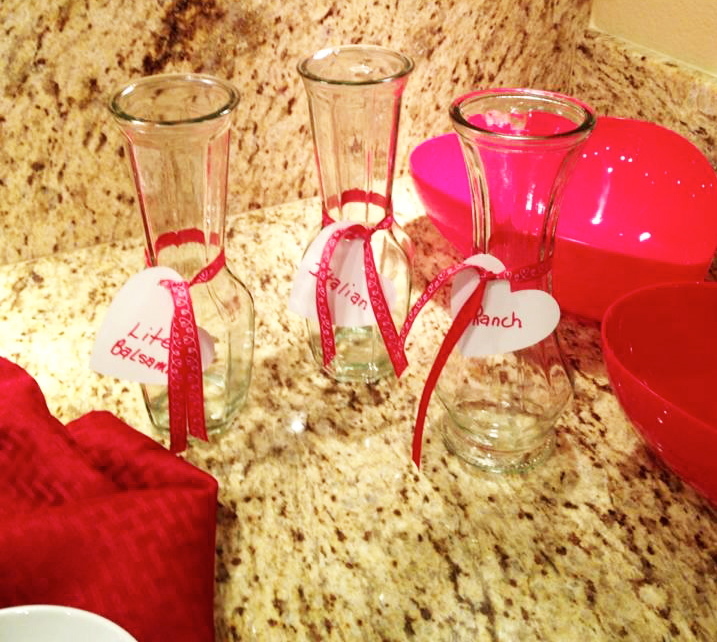 The beverage area was pre-set of course with pink lemonade in pink goblets which added to our theme. Valentine’s desserts were suggested, and there you have it…another unique, healthy (for the most part) QUICK entertaining idea! Thanks for letting Practically Perfect Planner help out, Olivia! That was so much fun! You did an awesome job, thanks for sharing.